Thousands of Arab rioters clash with Israeli security forces in Jerusalem, Judea, and Samaria in protest of Jerusalem recognition. 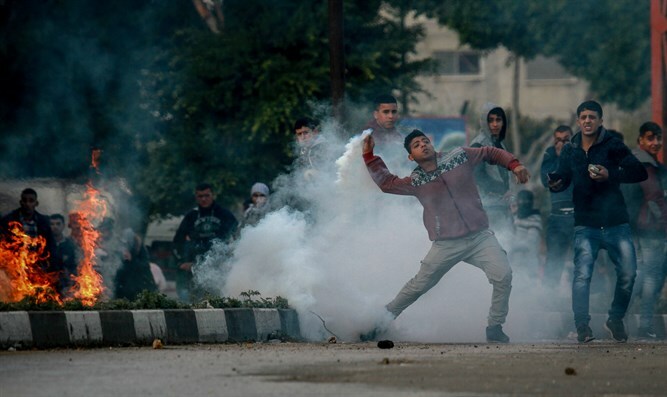 Arab rioters held violent demonstrations against Israel and the United States across Judea, Samaria, and Jerusalem following Friday prayers, two days after President Donald Trump declared that the US recognized Jerusalem as Israel’s capital, and announced plans to relocate the US embassy in Israel from Tel Aviv to Jerusalem. According to the Red Crescent Society, the local chapter of the International Red Cross, more than 90 rioters were injured in Judea and Samaria, including one rioter in critical condition after being hit by live fire, with 21 more hit by rubber-coated bullets.